The UK government has provided fossil fuel companies with £6.9 billion in financial support since 2000, according to a joint investigation by Energydesk and Private Eye. At the time, Sibur was majority owned by two billionaire oligarchs – Leonid Mikhelson and Gennady Timchenko. Timchenko was placed under US sanctions in March 2014 – months after UKEF agreed to the loan guarantee with Sibur – for being part of the Putin administration’s “inner circle”. Last year Energydesk revealed that UKEF had issued a new £245m loan at the height of the political crisis sparked by the Petrobras revelations. It also compiles 16 years worth of deals previously spread across UKEF annual reports – making it possible to analyze trends and levels of support for different sectors and companies. 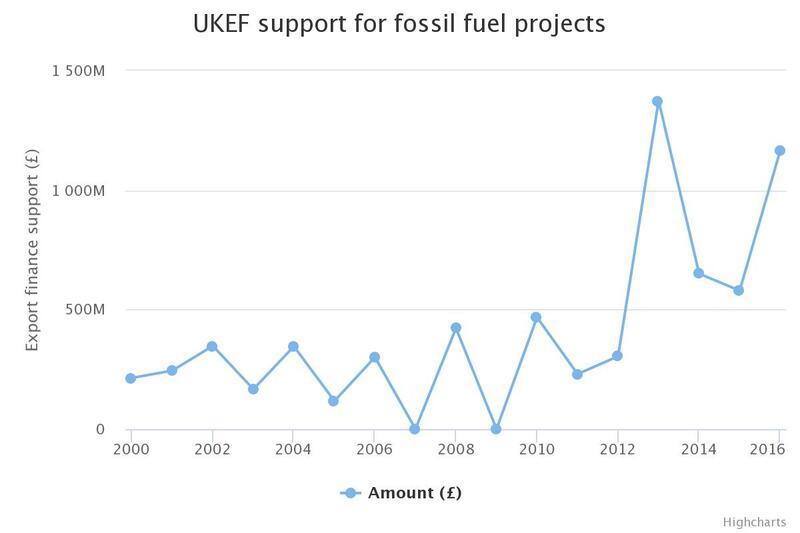 This has enabled Energydesk and Private Eye to present the most complete picture yet of the scale of UKEF support for the fossil fuel industry, as well as the sometimes controversial nature of these deals.